Advanced Toning, A-TONE is not just an ordinary IPL. 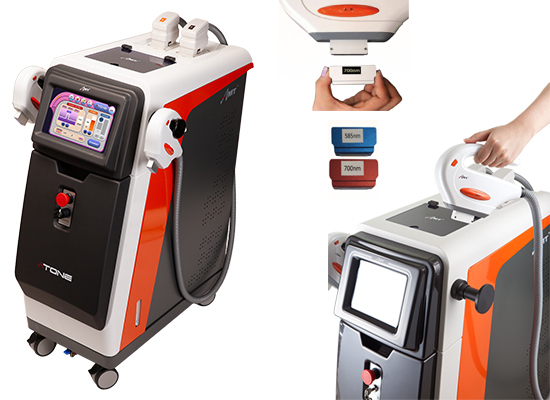 It is an all-around player among other laser devices for toning, hair removal, pigment and vascular lesions. 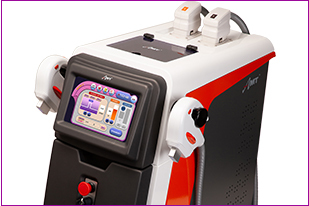 Top IPL, A-TONE is an advanced AR/Toning dual system. It has an AR (conventional IPL) and a PIP(Pulse In Pulse) toning IPL handpieces for better treatments. Unlike other IPL devices, A-TONE has an own filtering system with a perfectly precise light pulse. Especially, this IPL toning technology has solved intractable pigments of Nd:YAG. · Safety secured by the low voltages. PIP divides a pulse to several pulses. It delivers same energy in relatively short time with high peak power and it provides with less epidermal damage and pain-free treatment. Consistently delivers precise energy with right resultsproduced from high quality IGBT and optimally designedflash lamp and cavity. Stable fluence from larger capacitors at high-speed repetitive shots provides coherent and safe operation. It maximize results with built-in calibration that ensures precise energy delivery.